It’s time for us to travel around the world and this month we have landed in Brazil. 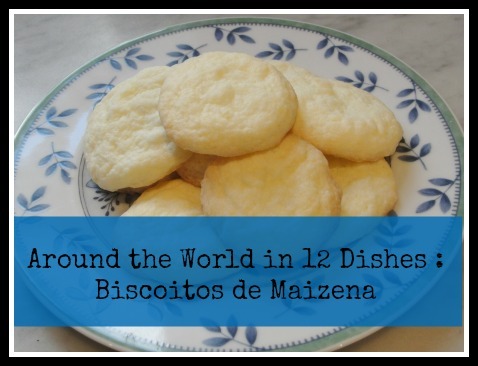 I have really enjoyed introducing my kids to different food through Around the World in 12 Dishes. What an adventure we have had. I knew immediately that if we were going to be exploring Brazil then we had to learn about the Amazon River. When I was a kid I loved watching Jacques Cousteau floating down the Amazon and telling the world all about the fish and wildlife he found. Those short movies are burned in my memory. I loved Jacques! However, I didn’t really know much about the food that people in Brazil eat. For this information we headed to the library and found a great book about Brazil from the series of books Checkerboard Geography Library. Inside we found the recipe for a simple Brazilian shortbread-style cookie called Biscoitos de Maizena. “Maizena” refers to the most popular brand of cornstarch in Brazil. 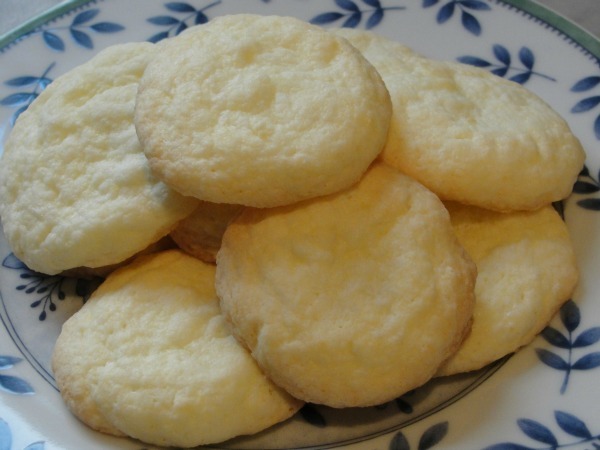 These cookies are made with a lot of cornstarch. The recipe only has a few ingredients and the steps are quite simple. Thus, I let me 9 year old make the cookies from beginning to end. 3. Add the egg and the butter…mix until it starts to form a dough. 4. 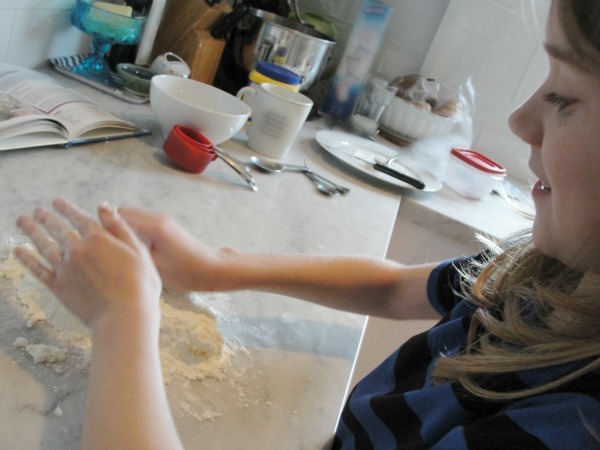 Place loose dough on a cornstarch dusted counter, knead the dough until it comes completely together into a dough. 5. Set dough aside to rest for 15 minutes. 6. 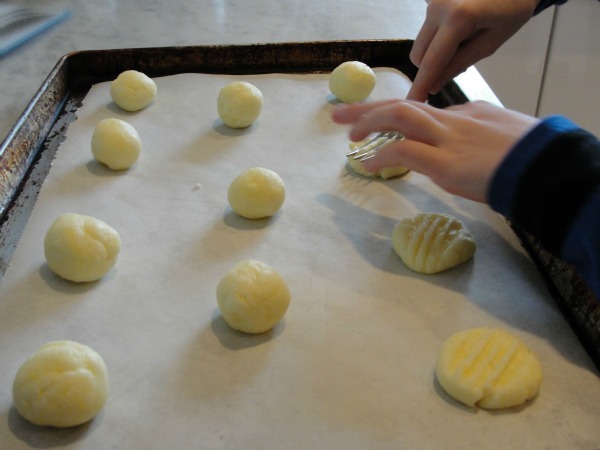 Form 1 tbsp balls of dough and place on a parchment paper lined baking sheet. 7. Flatten the balls with a fork. 8. Bake for 7-10 minutes..until edges are golden brown. Our first batch was a melted mess and my daughter said “Do not put pictures of these cookies on your blog!” I determined that we needed a bit more cornstarch in the dough, so we kneaded a bit more in. The next batch was perfect. 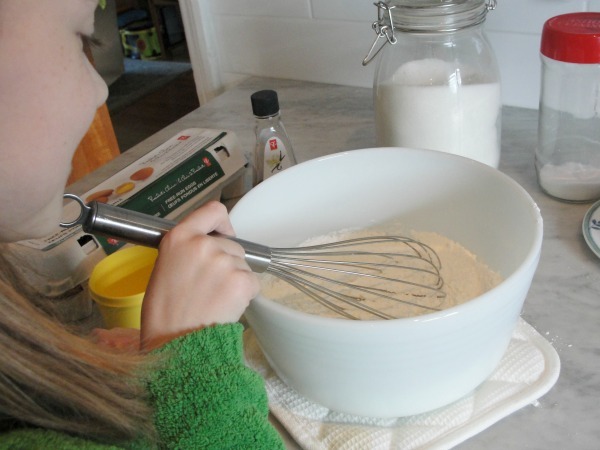 The cornstarch works as a thickener in the cookie. The cookies were delicious. My daughter was extremely proud of her work. 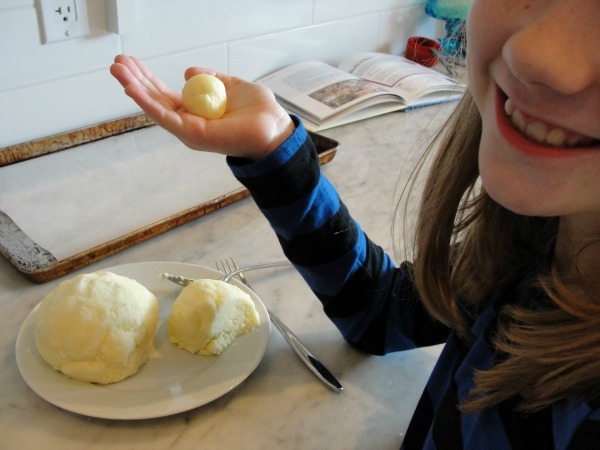 It is always wonderful to show my girls how just a few ingredients can make something so delicious. 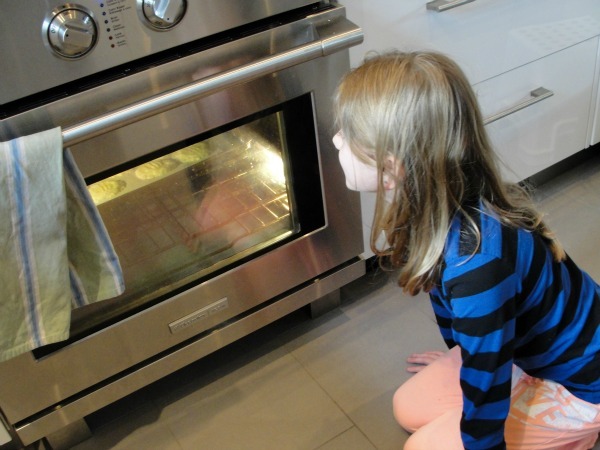 Now it’s time to see what everyone else has been baking and cooking. Please take some time to check out what all the Around the World in 12 Dishes co-hosts have discovered about Brazil. Adventures In Mommydom, Creative Family Fun, Domestic Goddesque, Glittering Muffins, Juggling with Kids, Kitchen Counter Chronicles, Mermaids’ Makings, Mom 2 Posh Little Divas, Montessori Tidbits, Mummymummymum, The Educators’ Spin On It , The Usual Mayhem. If you are a blogger and you have a post related to Brazil, food or craft related, feel free to link up below. Stop by our Facebook page and share your stories there too! We love hearing from you! This looks so easy! I didn’t know they had maizena in Brazil- we use that for Mexican cooking all the time:). I will definitely try these with my kids!